An existing nondescript house on a double lot was transformed and enlarged for a growing family. The client’s requested a symmetrical composition with additions to each side of the house. At one end, a new family room, kitchen and master bedroom were added. 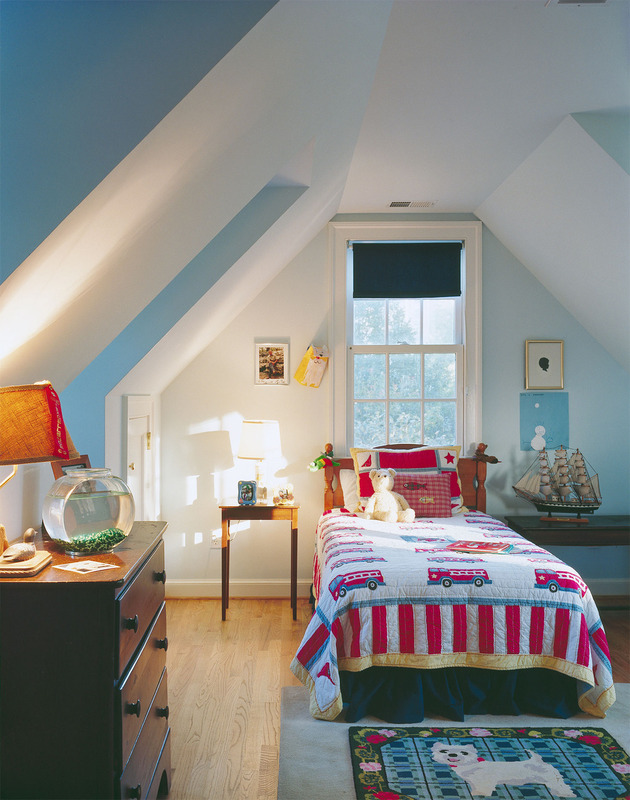 A Large screen porch with a child's bedroom above were added at the opposite end. The screened porch and the glass bay at the family room connect the interior with the exterior spaces for entertaining. 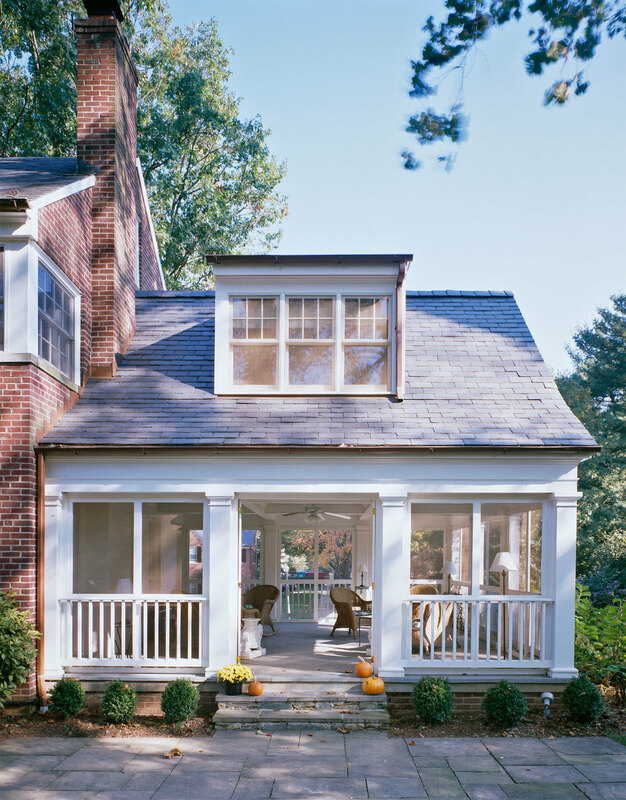 A new entry porch adds a focal point and detail to the otherwise understated main block of the house.